SRINAGAR, Jan 23: Peoples Democratic Party (PDP) on Wednesday welcomed senior Congress leader and former MLA Khansahib (Budgam), Abdul Gani Naseem into the party fold with party leadership terming his entry a positive step towards strengthening the PDP further. According to the party spokesman, Naseem on Wednesday formally joined the PDP at the party head office here in presence of PDP General Secretary Ghulam Nabi Lone Hanjura, MLC and Srinagar district President Mohammad Khurshid Alam, senior PDP leader and former Minister Mohammad Ashraf Mir, Provincial President Youth Nazir Ahmad Yatoo and several others. Welcoming Naseem into the party fold, the spokesman quoted Hanjura as having said that his entry will pave a new way for party’s overall growth and he expressed hope that the veteran politician will continue to work for the upliftment of the downtrodden sections of the society as he used to in the past. Stressing for greater coordination between the party functionaries and workers, Hanjura said that PDP is once again going to register a remarkable victory in the coming polls and that the party will play a decisive role in state’s overall growth in future. According to the spokesman, Hanjura said that in the entire political spectrum of Jammu and Kashmir, there could never be an alternative to the PDP, as the party alone has been pitching for the resolution of Kashmir issue as well as the good governance for the people who have been bearing the brunt of the decades-old conflict. “The party president Mehbooba Mufti has been on every podium and on every pedestal demanding resolution of Kashmir issue, an end to bloodshed and mayhem and according to a peaceful and dignified life to the strife-torn masses of the state. Her courage, will and determination act as an inspiration for the party to continue its struggle for state’s permanent prosperity,” the spokesman quoted Hanjura in a statement as having said. 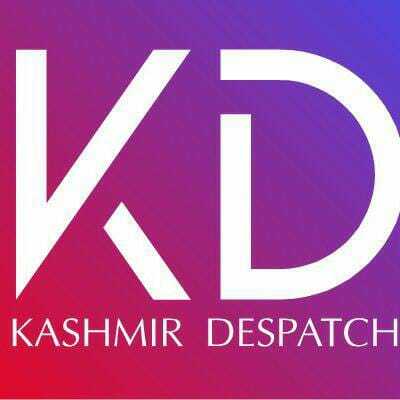 The spokesman said that the PDP General Secretary also expressed serious concern over the present tumultuous situation in Kashmir and how governor administration instead of pacifying the situation is turning it more sultry and worrisome. He demanded an immediate end to unprecedented arrests, torture and harassment that has become rampant in Kashmir at present, cautioning that if immediate measures aren’t taken, PDP will hit the streets against such state of lawlessness in which Kashmir has been plunged.